So another peaceful moment from the small room. 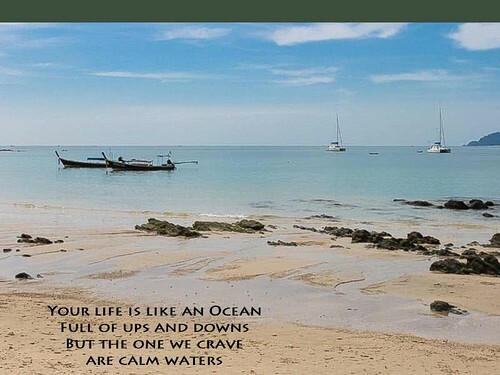 Today brought to you from the Island of Koh Mook in Thailand, Somewhere I loved so much when I stayed and had such amazing uplifting experience, it was then I think I realised there was more to life. I am an avid shell seeker when on beaches; I always put them back, but photograph them before leaving. My thoughts are that shells are a little like humans, “how so?” I may hear you ask. Well like us they come in all different shapes and sizes, all colours and styles. They have their imperfections, just like we do… They can be discarded when the creature inside them is dead and become the continuing part of the Earth. They are a vessel in which some living creature may survive. Maybe you will look at shells a little differently from now on, after all, is that not what all of us are? Shells? ← What’s in a Wat?